The Formula One Teams Association today expressed sadness at the unexpected decision by Toyota to withdraw from Formula One and be absent from the 2010 World Championship. Toyota has made a significant contribution to the success of Formula One for the past eight seasons, having recorded a number of podium finishes and other points-scoring results in that time. Regrettably, notwithstanding Toyota’s commitment to compete until 2012 deriving from the signature of the Concorde Agreement, the particular financial pressures within the car manufacturing industry - together with a period of uncertainty and unnecessary confrontation in F1 that is now finally over - created conditions which have made it difficult for Toyota to stay in the sport at this time. We hope very much that Toyota will return to the world’s most technologically-advanced racing competition in the not too distant future, but in the meantime every effort must be made by the sport’s management to ensure that the 2010 season is as successful as we all hope. These efforts should include ensuring that the 2010 grid remains fully subscribed - and we should remember that there are still more teams entered than in any year since 1995 - that our sport remains a focus for technological innovation and competitive racing. The departure of an important car manufacturer cannot be underestimated and its reasons need to be addressed. 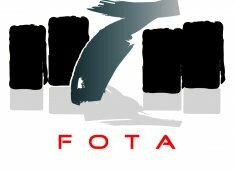 All the FOTA Teams send sincere messages of goodwill to all at Toyota – staff, drivers and sponsors – and thank them for the positive contribution they have made to Formula One in recent years. FOTA also wishes to put on record its thanks to John Howett for his great passion and his fundamental contribution, in his role as Vice Chairman of FOTA, in helping negotiate the new Concorde Agreement, securing longer term stability in F1’s rules and a more constructive, collaborative environment with all stakeholders.